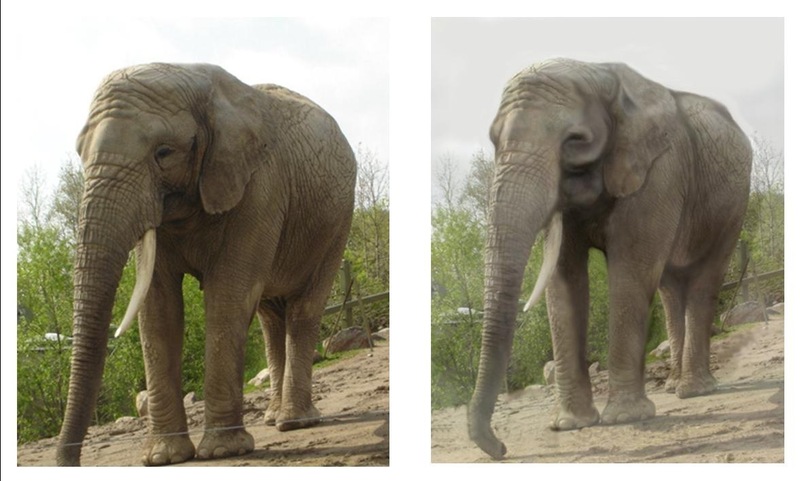 In May of 2011 the Toronto Zoo made the hard decision to phase out its elephant exhibit. With several elephant deaths and a lack of funds to upgrade the elephant’s facilities and outdoor habitat it was felt that relocation was the humane choice. Our group Zoos Matter supports this motion and relocation. Not once but twice in the last two years Toronto City Council has ignored professional zoological expertise and scientific fact in regards to the Toronto Zoo elephant transfer. Both times dogma driven decisions were singularly based on animal rights propaganda, almost exclusively supplied to them by an anti zoo organization with little or no impartiality. The first time council voted to override the professionals at the Toronto Zoo it was Zoocheck Canada who provided them with all their arguments in favour of PAWS Sanctuary and all the opposition arguments against AZA facilities. Not one councillor sourced or vetted the information which was being provided to them including clarifying the limited use of elephant hooks at The National Elephant Centre which was the zoos choice for relocation. According to just one report written by Zoocheck, PAWS was the only facility in North America which satisfied all the criteria the Toronto Zoo board had laid out as a new home for the Toronto Zoo elephants. One year later, the second time council voted in favour of PAWS they ignored the due diligence of the Toronto Zoo professionals as well as all of the USDA and California State Health documents which proved the sanctuary had an outbreak of TB and was unable to contain it and had lied about it. The zoo had 7 offers from various zoos across the North America. By September of 2011 the zoo was prepared to announce its choice, the yet to be built but now completed National Elephant Center in Fellesmere Florida. Disney’s Animal Kingdom was to send the first African family group to TNEC and had offered to integrate our girls into their herd for eventual relocation. That herd is now living at TNEC. Meanwhile the anti zoo organization Zoocheck Canada had been lobbying City Councillors to allow PAWS to be considered as a location choice. In the fall of 2011 City Councillor Michelle Berardinetti put forward a motion without notice at council claiming the elephants as City assets and put forward a vote to override ride the zoo’s professional authority and chose PAWS as the new home for our elephants. Their argument against TNEC was that the facility would use an elephant hook and that the zoo board had voted not to send our elephants to any facility which used this management tool. However TNEC will only use the elephant hook during calving and our elephants as protected contact managed would never see an elephant hook. This is a common form of animal rights propaganda and was used to influence councillors and the public against TNEC. The decision by council was made without any due diligence or site visits. No zoo staff were at the Council meeting. Zoocheck Canada wrote the motion which was carried at council verbatim. Tuberculosis concerns have been the driving force behind opposition to this transfer. A citizen led organization based in Toronto called Zoos Matter accessed hundreds of pages of Freedom of Information documents from the USDA, California State Health and California Fish and Wildlife and the City of Toronto. The documents proved that there had been a tuberculosis outbreak at the PAWS sanctuary with on site transmission of the disease and that PAWS bio security protocols and diagnosis of the disease had failed. These concerns were shared by the senior veterinary staff of the Toronto Zoo. For months the coalition of Zoocheck, PAWS and several city councillors (two of which are zoo board members) made very public statements that there had never been a tuberculosis issue at the sanctuary. The FOIA evidence was contrary to those statements and evidenced that two elephants had died from tuberculosis, two more were infected, and one of those is now TB+ and converted in June of 2012 a year and a half after exposure. The zoo board had declared that no facility with past or present issues with tuberculosis would be considered nor would any facility located on the west coast where transportation would be logistically difficult to arrange and the long distance for travel inhumane and unhealthy for the elephants, two of which are considered by animal welfare standards as at the median age for developing health issues such as arthritis which could prove not just unhealthy but potentially deadly on such a transport, by air or by road. Research and Freedom of information documents indicate that PAWS knew about the tuberculosis related deaths, on site transmission and their bio security failure as early as January 2011. Despite the overwhelming evidence supporting the disease concerns Toronto Council, continued to support PAWS as a new home for the elephants. Councillor Berardinetti admits she knew about TB at PAWS on an episode of the Agenda. This link is the live chat archives from that program, in it you will see Zoocheck’s Julie Woodyer making many false claims about tuberculosis at a time when FOIA had already proved there had been TB deaths at the sanctuary. Councillors claimed in the media there were no tuberculosis issues at PAWS. Our research uncovered a great many concerns about PAWS bio security protocols. The sanctuary and its supporters claim that the African herd is safe and clear of TB. Our research indicates several factors which undermine their claims. All trunk washes for the Asian elephant herd were negative prior to the death of the source elephant in the outbreak Therefore with the 2-20 year incubation period of this disease, the unreliability of the trunk wash as a diagnostic, the missing tissue cultures for the high risk Ruby and proven co-habitation of both species in one barn for many years there is no way to determine if the African herd at PAWS is safe and clear of tuberculosis. Professor Ian Duncan, a Phd in Animal Welfare who heads up the zoo’s Animal care Committee says: “Tuberculosis reduces welfare.” A pioneer in animal welfare issues in Canada he is staunchly opposed to the transfer and transport plans. He also head up the zoo’s Animal Care Committee. The evidence which supports a tuberculosis risk at PAWs is overwhelming and conclusive. The plan to transport the elephants by air had been lobbied to the public and hailed as a great act of generosity and animal welfare by Zoocheck and PAWS and Councillors heavily in the media. This $880,000.00 “gift” from former game show host and animal rights activist Bob Barker had a strong influence on Council votes and public opinion. Barker would pay the costs to transport the elephants by plane as both the zoo board and Toronto City council claimed this was the only method of transport they would accept if the aging elephants had to travel such a long distance. After failed attempts to have the American Air Force fly the elephants they next lobbied Royal Canadian Air force. Almost two years after the initial vote at council and the promises of air transport the zoo’s CEO John Tracogna and the zoo board had quietly given Zoocheck, PAWS and their hired animal management company Active Environments full decision making power over mode of transport; they are now planning to drive the elephants the 4200km distance to PAWS, a trip that could take up to 5 days. It has been reiterated again and again by the board and council that air transport was the preferred humane option. The Toronto Zoo elephants are protected contact managed, once they enter their crates they can only be offloaded at a suitable zoological facility. In case of an emergency, which is highly likely considering their age there are few zoological options on the proposed transport route. The Senior zoo staff are opposed to this transport plan but to accommodate the order of City Council the zoo’s CEO has signed off on the initial road transport plan and it is likely they will bring in outside vets to sign health certificates for transport to override the zoo’s own vets. All staff are under strict gag orders from City Council with threats of job loss, even volunteers have been threatened if they speak to the media or post on social media any opposition to council’s decisions. Recent FOIA from the City of Toronto accessed by Zoos Matters indicates that Mr. Barker is concerned about his money and will not pay transport costs up front; he wishes to be reimbursed by the city afterwards to “protect” his investment. Zoocheck’s Julie Woodyer and her affiliates on Toronto Council, Councillors Michelle Berardinetti and Glenn DeBaeremaeker have publicly maligned and disparaged the zoo and its staff so much in the media that Mr. Barker now fears zoo staff will not cooperate on transport day and he will lose his money. FOIA evidence shows these councillors colluded with Zoocheck and were being spoon fed disparaging quotes about the zoo and staff by Woodyer. When the zoo lost its AZA accreditation over governance issues the same media strategy was supplied to councillors again to dismiss the AZA’s standards as less than the standards outlined by PAWS accrediting body the Global Federation of Animal Sanctuaries. An organization which was partially created by PAWS own founder Pat Derby after her first accrediting body TAOS failed and which under a Grandfather clause PAWS does not have to adhere to its own accrediting standards required for other sanctuary members. Ms Woodyer’s orders and commands were so prevalent in the FOIA that Zoos Matter members started referring to her as Councillor Woodyer. The zoo staff were required to train the elephants to enter their crates, that was their assigned job and they fulfilled their responsibilities. Active Environments was hired to manage this transport and claim on their resume to have moved 14 elephants despite there being no evidence of these moves. Additionally upon orders once again from Woodyer the zoos report on AE was assigned to a zoo staffer who is friends with Margaret Whittaker of Active Environments. It is unclear why Mr. Barker, Zoocheck and PAWS have concerns about loading the elephants, if AE are the experienced management transport company they claim to be they should be able to get the elephants loaded for their road trip with or without zoo staff. But the truth is no one, including AE has ever moved three protected contact elephants this distance by road before – no one. It appears as if road transport was always their number one plan not air ( don’t forget their previous attempt to fly the elephants in a Russian cargo plane which was proven to in fact be in contravention of International Aviation Laws for the transport of live mammals) . By January of 2013 they still did not have any viable air transport plans which they had been promising the public for 18 months. Email correspondence between the commercial transport provider and Zoocheck’s Julie Woodyer state that the transport crates the elephants had been training in for over a year had been for road transport only – the crates were NEVER built for air transport. When Zoocheck lobbied the Department of Defence, the zoo and city were required to answer an 8 question due diligence. In the official City of Toronto response which was again accessed through FOIA Zoocheck and the City of Toronto state that they have exhausted all commercial options for air transport and that the crate for youngest and biggest elephant, Thika was too large to fit through any cargo hold doors. This was also claimed again in a legal letter sent by PAWS lawyers in Toronto to the DND. That same letter also indicates that Zoocheck and PAWS were concerned for the elephant’s health and the 4-5 day road trip. Furthermore Council and the zoo board reiterated again and again AIR TRANSPORT was the preferred option. Here in a clip (at 1:20) from the November 27 Council meeting Councillor Berardinetti says there are many planes available yet barely two months later there are apparently NONE? Further investigation concluded that Zoocheck had been offered a viable transport plan using a Boeing 747 plane with engineered modifications to the crate so it could be loaded. The difference between an inhumane 5 day road transport and air transport is just 5 inches but is it really about money? Zoocheck rejected this plan but did not clarify any of this to the Department of Defence. The DND only found out when the commercial transporter in question sent his quote to the DND which cannot compete with a commercial vendor. The PAWS coalition decided in the early spring of 2013 that the DND offer would be too late and chose road transport instead. Zoocheck’s Julie Woodyer once again claimed that the elephants might not survive another winter in Toronto, a statement she has now made two years in a row. Odd that Zoocheck claimed for so long that the elephants cannot survive another winter and are not healthy but then they claim they are healthy enough to survive a 4200km road trip? Ironically PAWS, Bob Barker and several of their animal rights affiliates in the United States have a bill before congress, the Travelling Animal Protection Act. In it they outline the serious affects even short transportation has on animals, from ones being transported for the food industry to circus animals. You would think that after the death of 3 seals last summer during the Zoocheck initiated transport from an Ontario Zoo to a zoo in Missouri that someone, anyone on council would have concerns for the lives of these elephants. Many animal rights and welfare groups lobby against this kind of inhumane road transport yet they are silent on this issue. To date this bungled effort has cost the City over 1 million dollars, because if the zoo had been allowed to do their jobs in the first place the elephants would have been in Florida for a year already. According to the Animal Welfare laws in Ontario and the Animal Welfare Act the road transport plan is inhumane. According to what WSPA Canada lobbies for on behalf of livestock in transport to slaughter it is inhumane. According to the 28Hr law in the United States it is inhumane and according to PETA if a circus transfers an animal for this length or time, chained and immobile it is inhumane, in fact according to many animal welfare activists it is INHUMANE. Additionally the Federation of Canadian Humane Societies states; exceeding the duration of recommended transport times by the Canadian Federation of Humane Societies qualifies as putting an animal in “distress” (here pg.13 subsection 64) and (here). The Canadian Federation of Humane Societies does not recommend transportation longer than 52 hours for farm animals; so the land transport plan of 50+ hours suggested by Zoocheck is a number strategically chosen to avoid direct contravention of what is cited in the Federal Health of Animals Act. It is inhumane to transfer three disease-free animals (two ageing) 4200km cross country chained in a crate on a truck for 4.5 days (or 65+hrs) to a facility with a known tuberculosis outbreak and proven risks within the herd they will be integrated into. It is inhumane because there is a closer, disease-free facility willing to take these elephants. For $250k in transport cost savings to Florida the City of Toronto will risk the lives of the Toronto Zoo elephants. It is ironic that these elephants are being exploited by animal rights groups to gain a victory and momentum for the anti captivity movement. We feel it is unethical to send three healthy disease free animals into a facility with clear cut disease prevention protocol failures and little transparency. The trip to Florida is considerably less in distance for transport, the climate is warmer year round, TNEC provides more space to roam (225 acres vs 80 acres) and living in multi generational family groups is the key to happy elephants in captivity, not space but family. It is the number one factor which is attributed to healthy elephant sociology in the wild. We have enough evidence to prove that the Dr. Cork report was misrepresented to Toronto Council and to all government agencies involved both in the USA and Canada as an impartial independent report to complete the due diligence. The zoo’s due diligence was incomplete due to the lack of crucial evidence; the tissue cultures for two deceased African elephants. We have the information which was not included in the Cork report, evidence that Dr. Cork relied solely on information provided to her by PAWS as well as a statement from the University of Calgary citing that the report was commissioned by Zoocheck; that Zoocheck wrote multiple pages of the report without clarifying it was not Dr. Cork’s work and it was submitted to Council as such. Zoocheck claimed in an email to Dr. Cork that the report was on behalf of the City of Toronto however FOIA indicates that no official record exists of Toronto Council or staff officially requesting the report from Cork or the University. Toronto Council adopted The Dr. Cork report claiming it was an independent report stating PAWS bio security was in good stead. We have evidence that this report was commissioned by and paid for by Zoocheck Canada (here and here and here pg.7) and that Dr. Cork based her report entirely on information supplied to her by PAWS. Council chose this report over the Toronto Zoo staff’s due diligence report (supporting DD documents here) so that they could move forward with the move to PAWS despite the overwhelming evidence of tuberculosis risks. By doing so Council could claim the due diligence was complete and then Zoocheck could lobby the Royal Canadian Air force for a plane and at the same time apply for road transport permits in case RCAF refused. The Cork report was misrepresented paid advocacy purchased by PAWS agents in Canada, Zoocheck who have also lobbied this issue since 2011. It was used to bypass the Toronto Zoos zoological professional expertise and we can prove this. We can also prove that there is a high risk for tuberculosis in the African herd at PAWS and we have every intention of continuing our campaign to share this with the people of this city, the media and through complaints with provincial and federal officials as well as with the USDA. The significance of the Dr. Cork Report. By zoosmatter in Uncategorized on September 18, 2013 . Now that the move has been made successfully, with the elephants in robust good health substantially better than at TZ, why do you persist with this silly opposition to sanctuaries? Can you possibly emerge from the cage around your mind to see things from the elephants’ perspective, for once? Successful? Robust health? Thika teetered near death after the transfer, the three have not been seen together as a family group since January. The Toronto3 are no where near being integrated with the existing PAWS herd and Thika has been consistently segregated from her family group. You call that successful? You call a 70 hr transport success? And there will always be the threat of tuberculosis in the African herd as a result of Ruby’s lung and lymph node masses not being sent for culture at the time of her death. I ha e no cage, in fact embracing these facts aided in escaping the shackles created by animal rights propaganda. Instead of talking to zoos matter about what we believe why dont you go and ask PAWS what Annie’s health status is, is she being treated? Is she dying? As you must know PAWS has been restricted from brining in any Asian Elephants, perhaps due to uncontrolled TB which infected not only elephants but humans as well. Yes, wonderful health. Greatly increased strength and movement of limbs and joints, significantly more energy and mobility than ever seen at TZ. No sign of the stereotypic pacing and swaying, also seen regularly at TZ. Thika, Toka and Iringa are not forced to spend time in the company of each other when they clearly do not get along, as seen at TZ, and PAWS is taking plenty of time to let them feel comfortable in their space before forcing them into the company of the other elephants. PAWS people call this “elephant time” because they are capable of patience and empathy, and sensitive to the behaviours the elephants are exhibiting. Clearly these are not things that you are willing to understand, clinging instead to a command-and-control mindset. And of course you know that the there has never been an issue of TB with the African elephants, as has been correctly acknowledged on this page. Why not drop your bitterness and opposition and join the other zoo people who have sent their elephants to PAWS or other sanctuaries and are happy about it? Your comments on their health are purely based on your personal opinion. These elephants were in great health prior to transport, how else do you believe they survived such a harrowing journey? Magic? As for TB in the African Herd, the reason we have no evidence is because PAWS denied access to the truth by willfully refusing to have Ruby’s tissues cultured after she died, died just three months after Rebecca died from tuberculosis, at the same time they knew two other elephants had been exposed and infected. Given that the two cases of human TB in calaveras county during 2012 had a match to a strain Ruby had been exposed to, a strain which killed other elephants AND that there was a confirmed case of human transmission and conversion at Paws which is In Calaveras County…well hmm. No evidence, not concrete but you go ahead an continue to believe that all the facts do not point to tuberculosis in that herd. Yes I will continue to stand by my facts and we will continue to promote what we know as well as investigate Paws further. Elephant time, yes what an easy excuse. Did you know that Active Environments, the company hired by paws to aid in the integration was fired by the Dallas zoo because they could not even train elephant to be transferred from one side of the zoo to the other side? This is not elephants time, either PAWS fears TB in their african herd or they are incapable of integrating them. They claim Thika is aggressive towards Toka and Iringa, she lived with them without incident for over 30 years prior. Nice Photoshop job on the photo above. I especially like how the smudge tool was used around the eye. No one is HIDING that ths is photoshop Einstien. Its to show what they could look like when they get TB. geeze. Try harder. I mean anyone with half a lick of intellect can see it is the same pic altered in a graphocs program. Therefore one needs to consider that its purpose is to show what Tuberculosis could look like, how it can affect an animal over time. you dont like the message that is your perogative. Please go write your own blog if you feel the facts and documents researched and posted here are not the truth. No one is stopping you from filing for freedom of information documents to disprove this. Who do we write to to help?